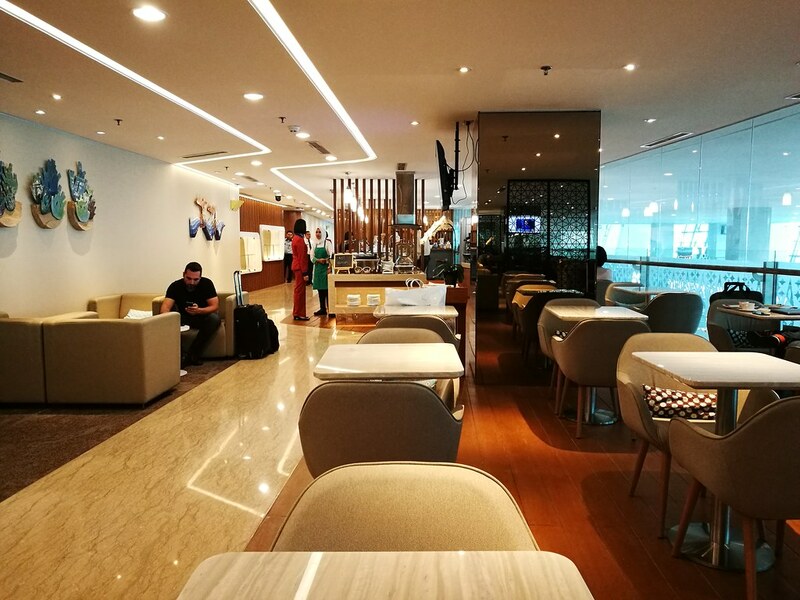 With Garuda Indonesia’s move to Terminal 3 complete at the middle of the year, they have opened the new Business Class lounge at the International section of Jakarta’s new Terminal 3. 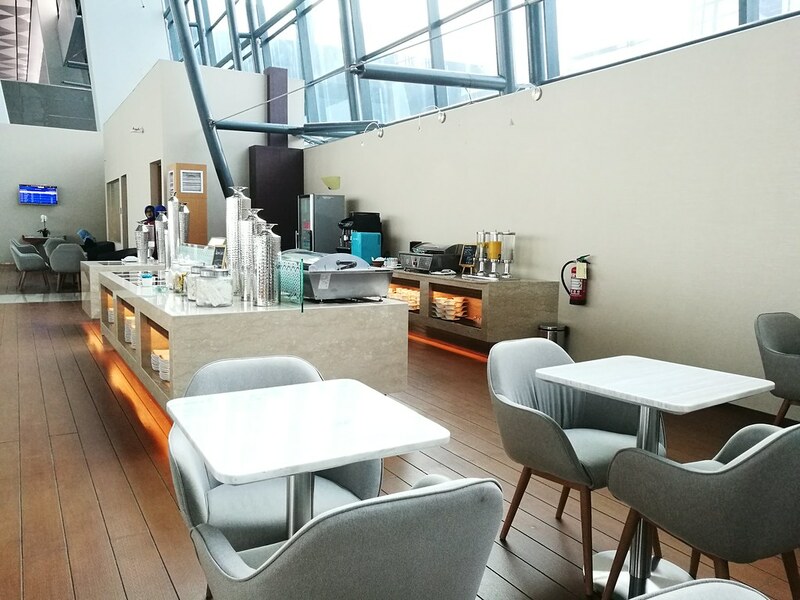 This new lounge is open to Sky Team Elite Plus members and is similarly located on the mezzanine floor between the check-in areas and the departure gates. 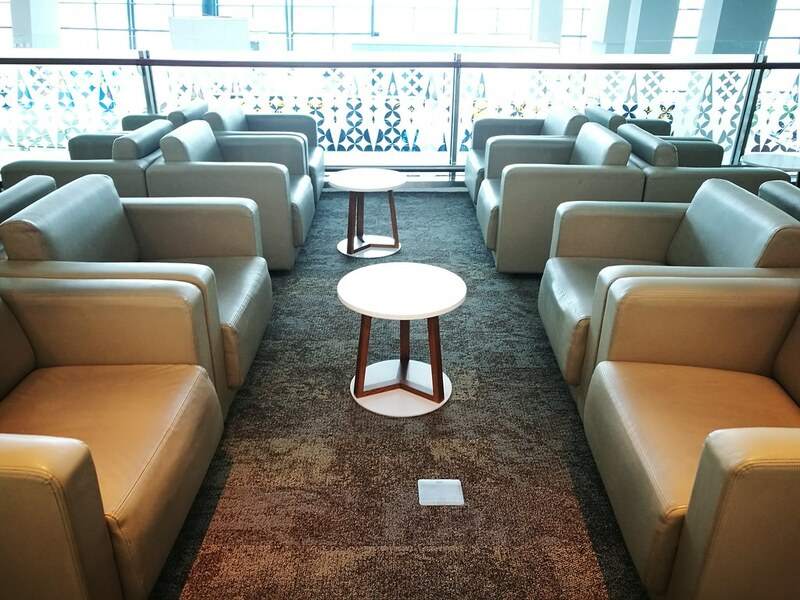 The long narrow layout extends out like the Domestic lounge and allows the other end of the lounge to open out to the whole terminal with a view of the departure gates. 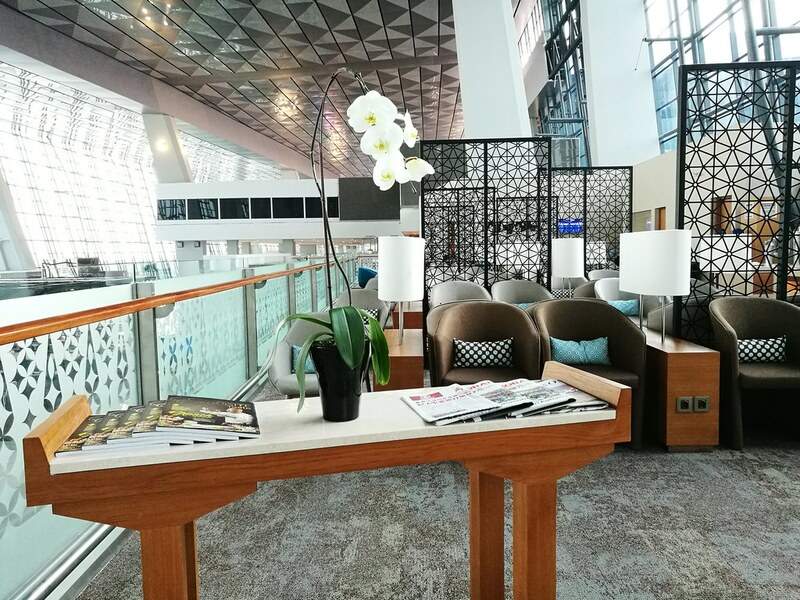 Guests wanting to enter the lounge needs to make a substantial walk from the escalators as the entrance is past the First Class lounge that Garuda Indonesia has prepared for its top-end clientele. Past the reception desk lies the main buffet area and bar counter. 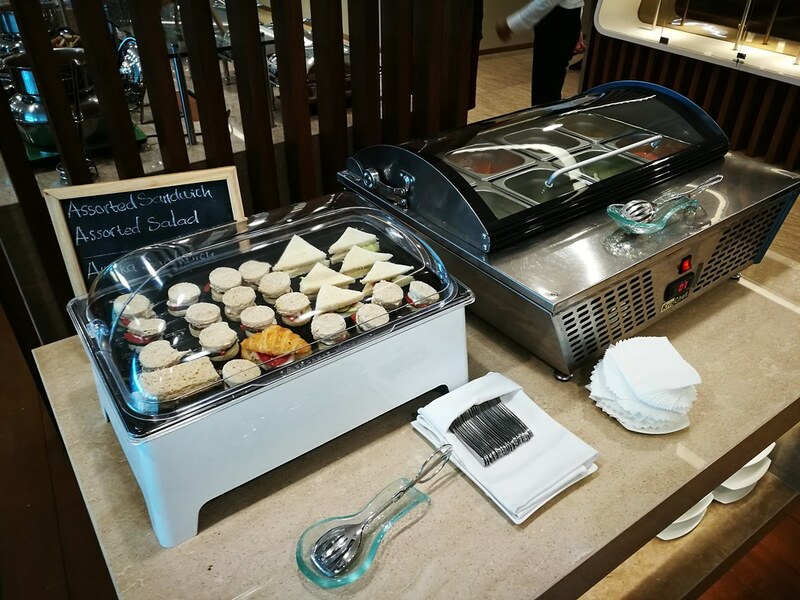 Around the buffet counters there are adequate dining tables and chairs for a sit-down meal. Based on my multiple visits, the dish changes between breakfast and lunch. 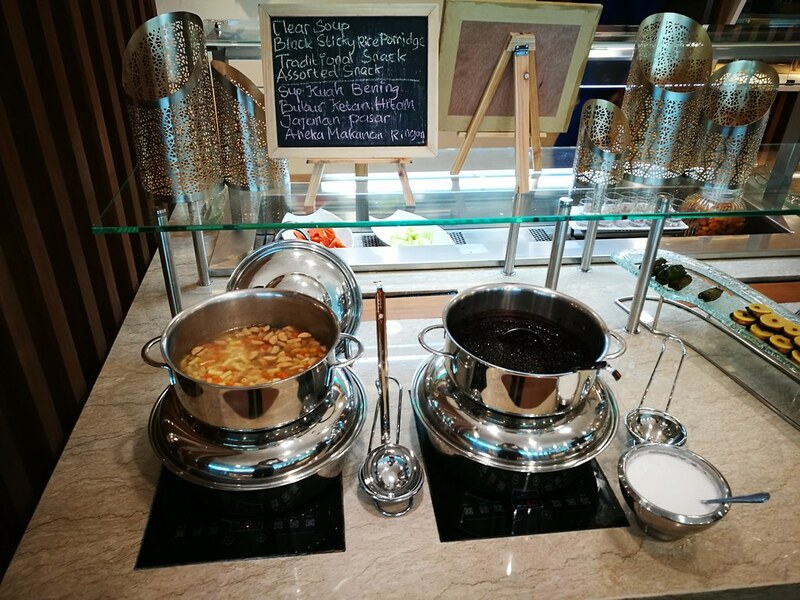 For breakfast, there are classic Indonesian dishes like chicken porridge with condiments, an egg station and hot sausages with potatoes. 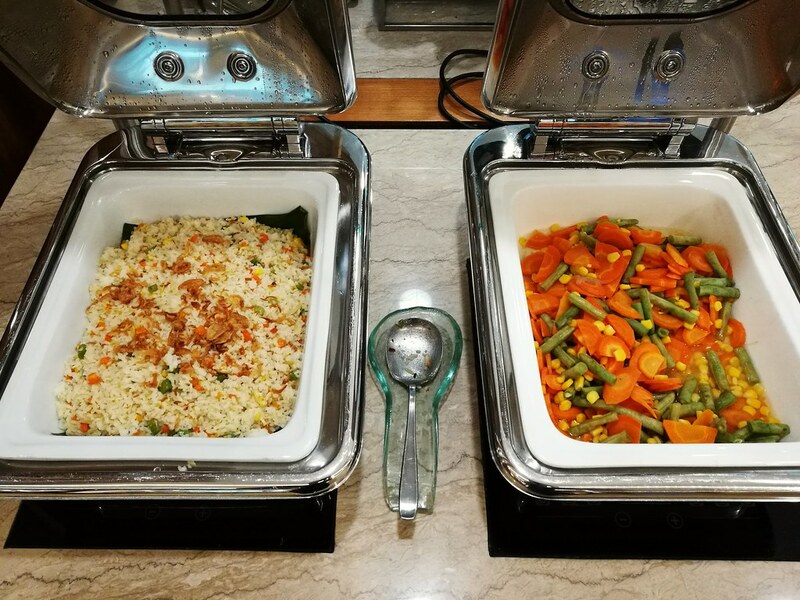 For lunch, the dishes on the main buffet is usually some fried rice or steamed rice with stir-fried vegetables. 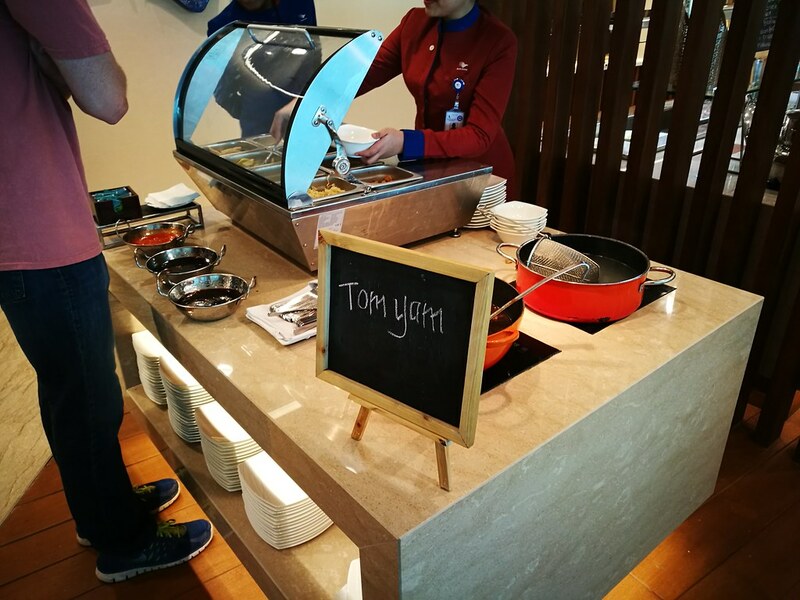 The egg station becomes a noodle counter with the soup base changed from time to time. 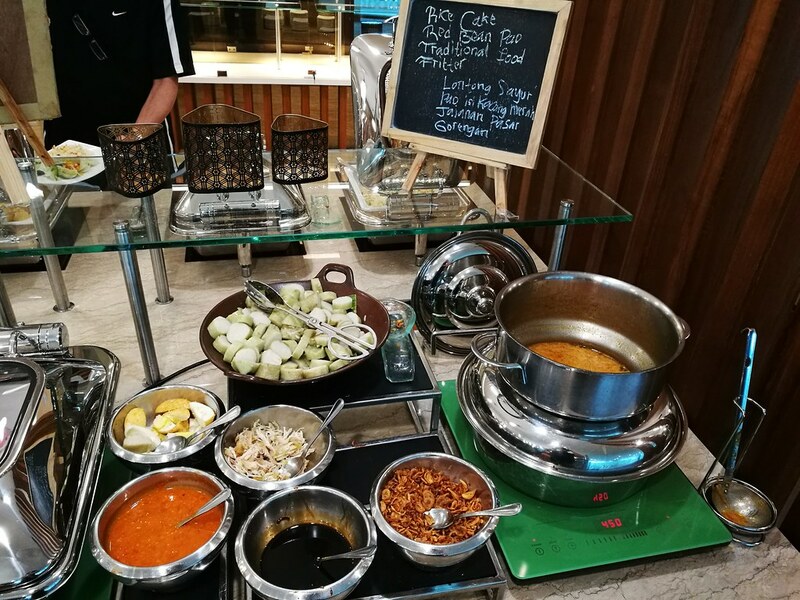 Aside from the usual lounge dishes, the lounge presents Indonesian cuisine such as lontong sayur (vegetables with rice cake in coconut milk based broth), fried samosas, fritters, and soup which can range from Soto (turmeric based) to Rawon (dark nutmeg based). 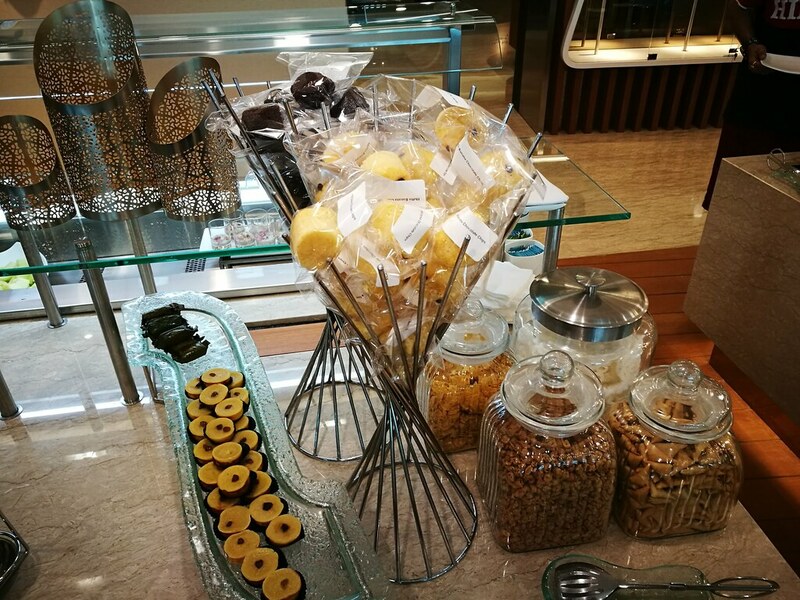 There are also a variety of packaged cakes and Indonesian desserts such as kolak pisang (banana in coconut milk broth). 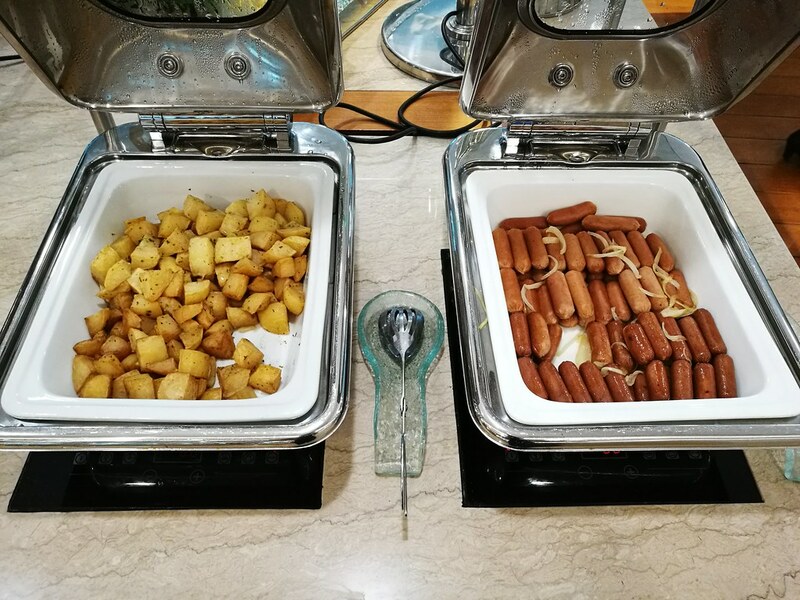 Other food offered in the lounge includes some cut fruits selection, vegetables for salad and sandwiches. 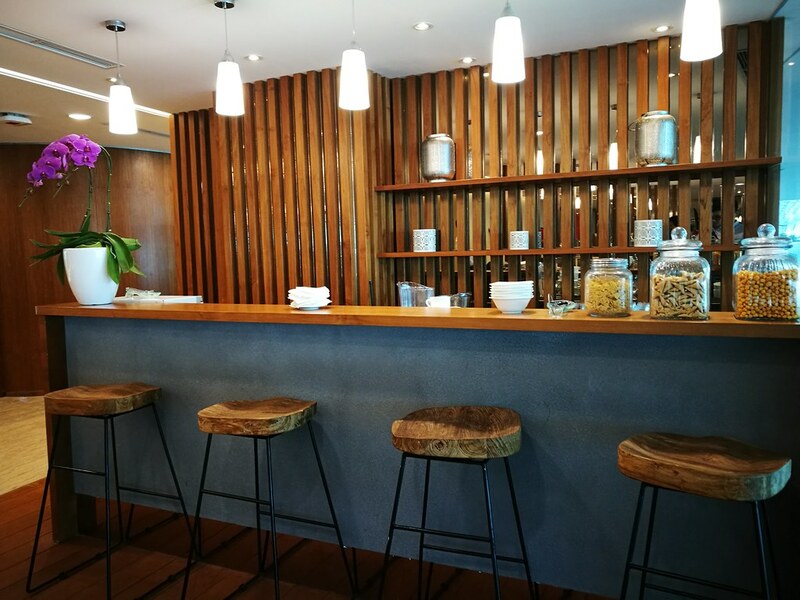 In terms of beverages, guests could get local beer from the bar counter or from the staff inside the lounge. 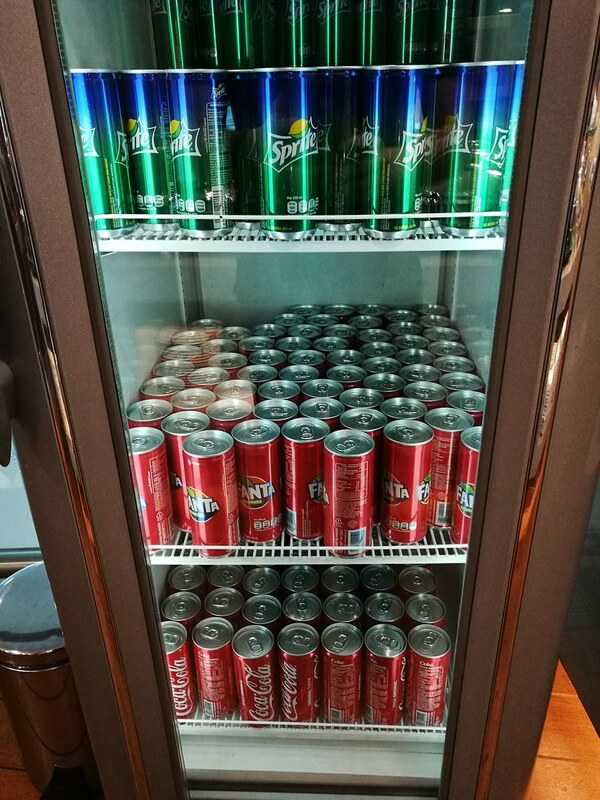 Common drinks like Coke, Sprite and Fanta are available from the fridge. 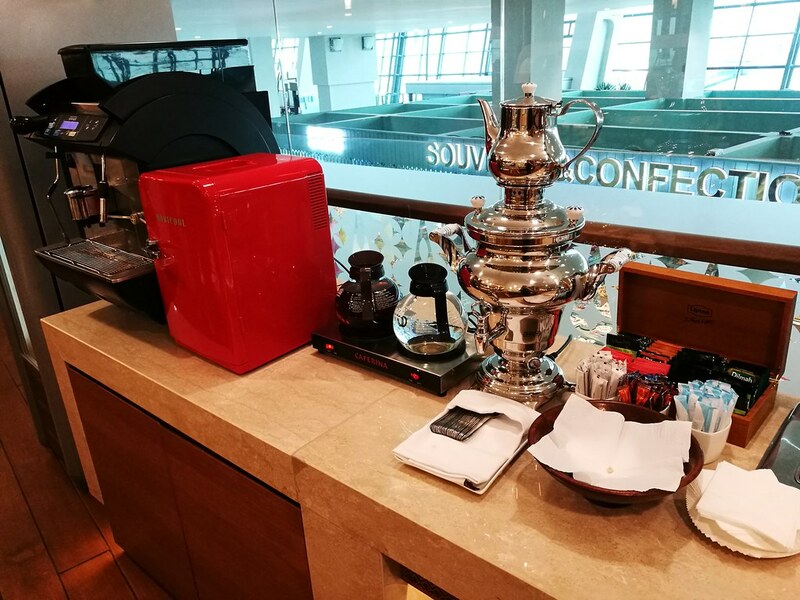 There are also tea from the counter along with an espresso machine for guests who prefer specialty coffees. 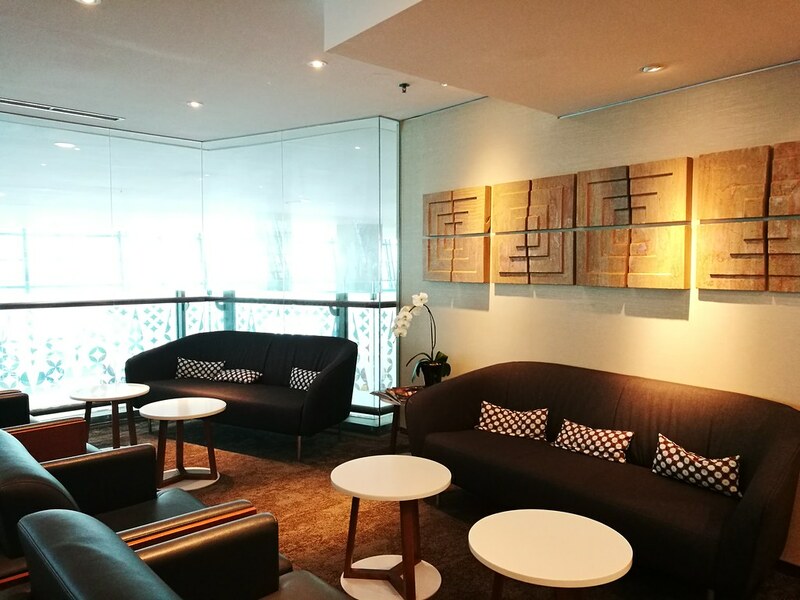 After getting your tummies filled, the lounge area is configured and designed like the Domestic lounge with a mix of sofas and armchairs grouped around a coffee table for families and larger groups to individual armchairs in a row with small circular tables in between. Towards the left of the dining area past the walkways, there are several partitioned rooms. The lounge has several rooms closed off for VIPs and as smoking room since many Indonesians smoke. 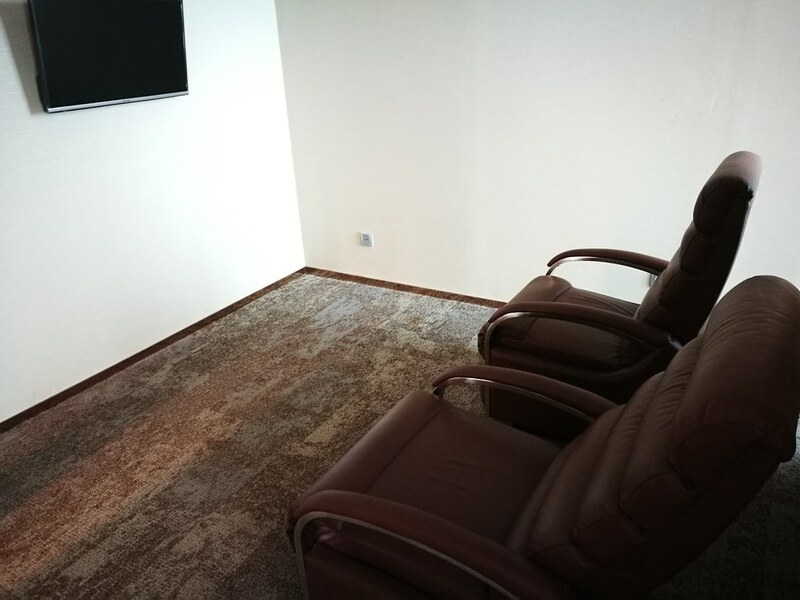 There is also a quiet room with a few soft leather recliners that would be comfortable to get a nap in between long transit times. 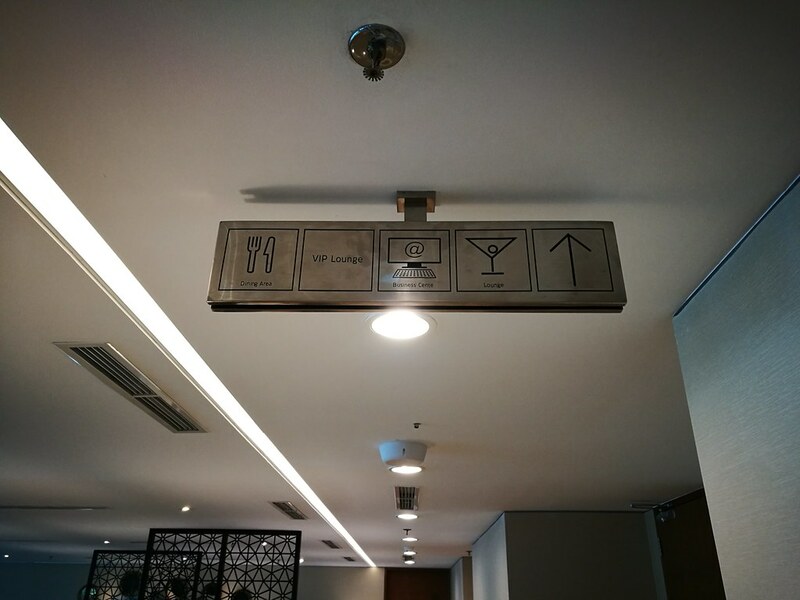 In this area, guests can find the bathroom and a few private shower stalls. 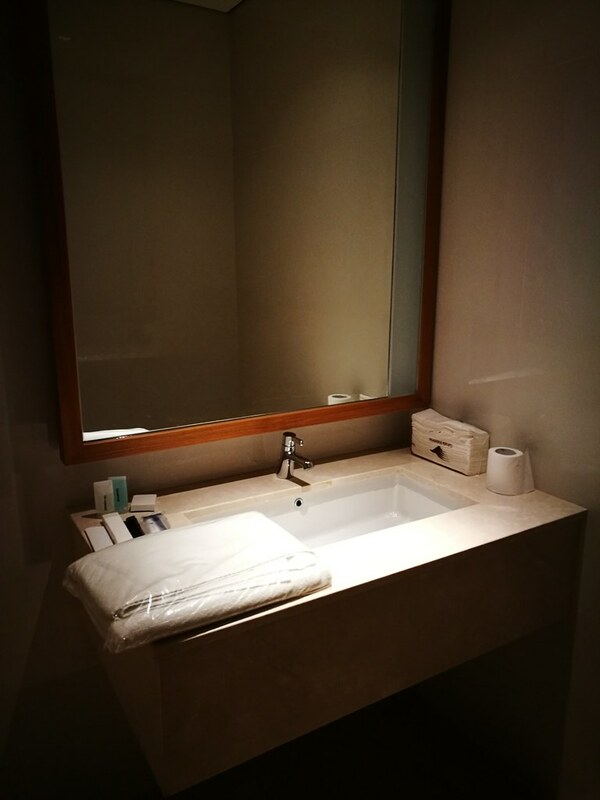 The private shower area comes with its own sink and countertop and while I did not use them, there was towels and some amenities provided for guests wishing to clean and refresh themselves. 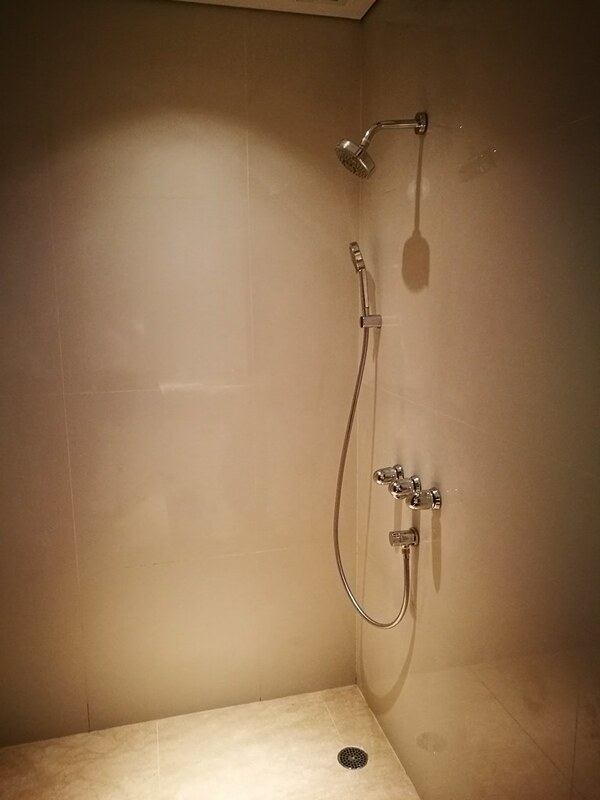 The shower stall also comes with a rain shower head and a handheld shower for versatility, though there was no glass partition so the design is quite basic. 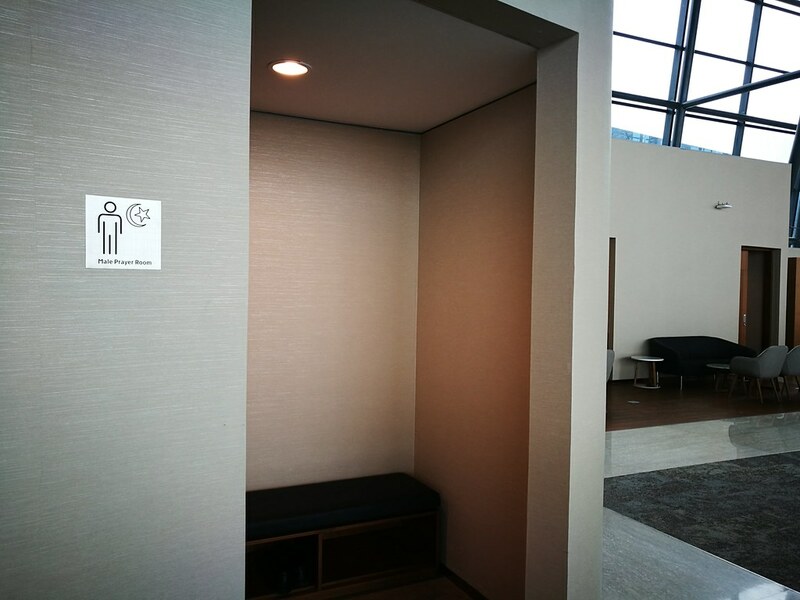 Beside the bathroom and quiet room, there are male and female praying halls for the Muslim guests and this is a common feature in many public spaces in Indonesia. It was past the praying halls that there was another section of the lounge. This section is open and thus brighter, receiving natural light from the glass windows of Terminal 3. 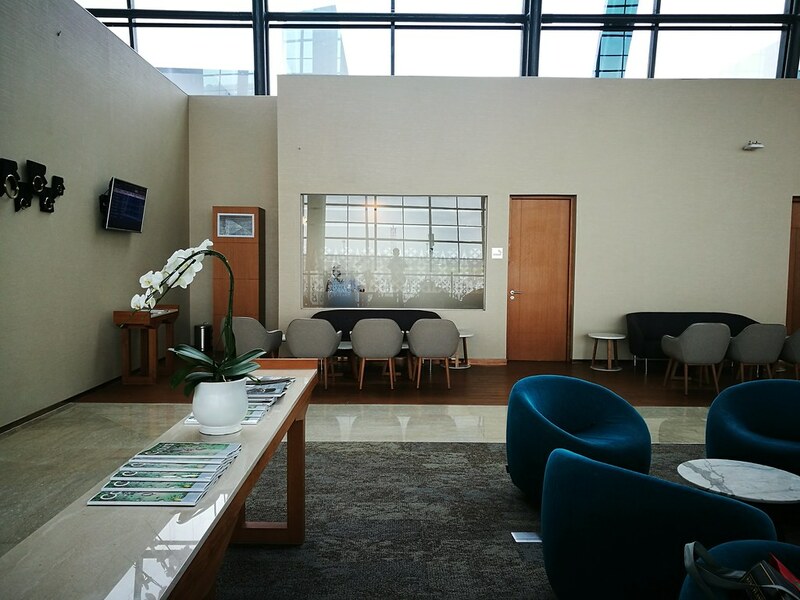 When I first visited this lounge, there was less staff based here as it was empty. 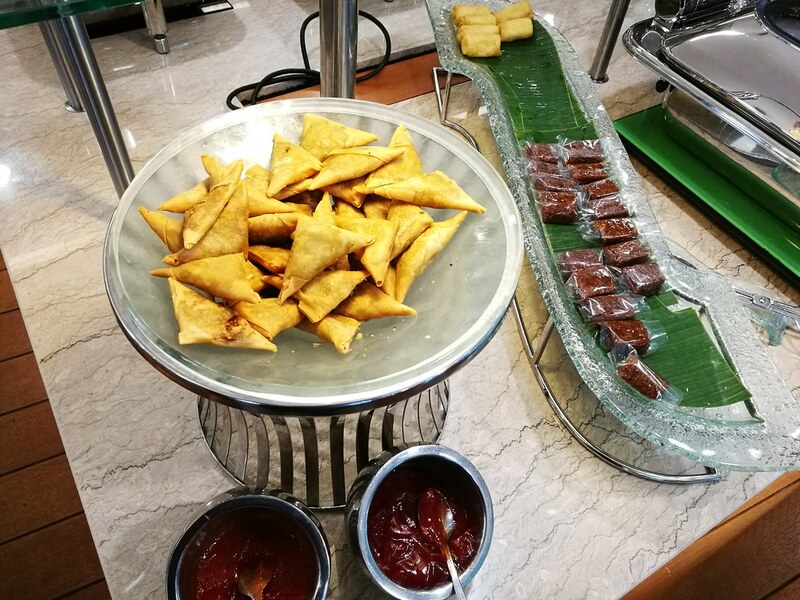 This section has its own buffet area but the range of food is limited to light bites, snacks and sandwiches. Thus it is best to lounge here after your meal or if you do not require any food. 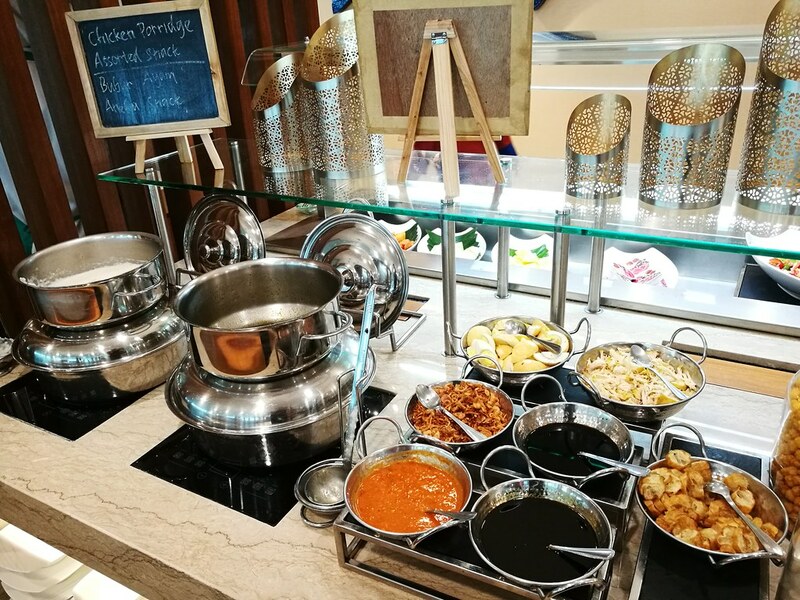 Beside this second buffet area, there are some dining tables and chairs as well, and guests could well use them if the main dining area is filled up. 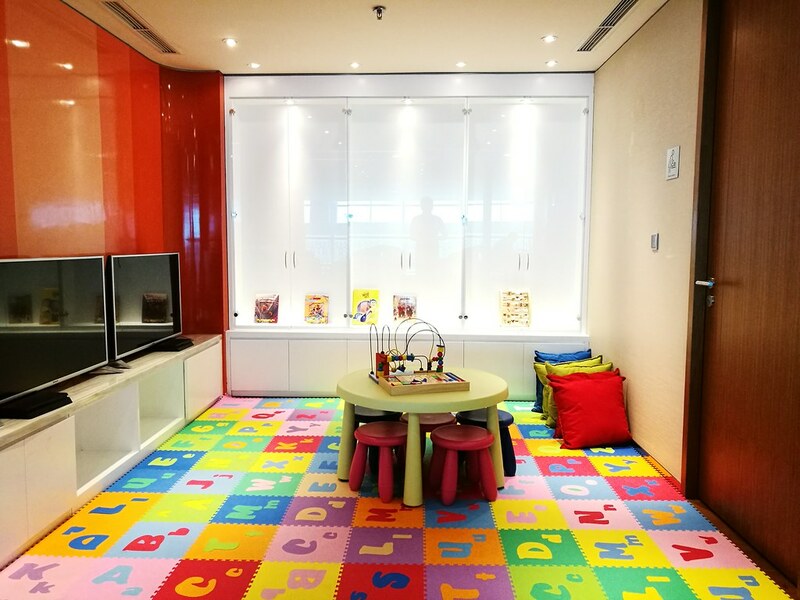 Other facilities inside the lounge includes a kids play area and an area with foot massage machines. Both were empty when I visited as well. 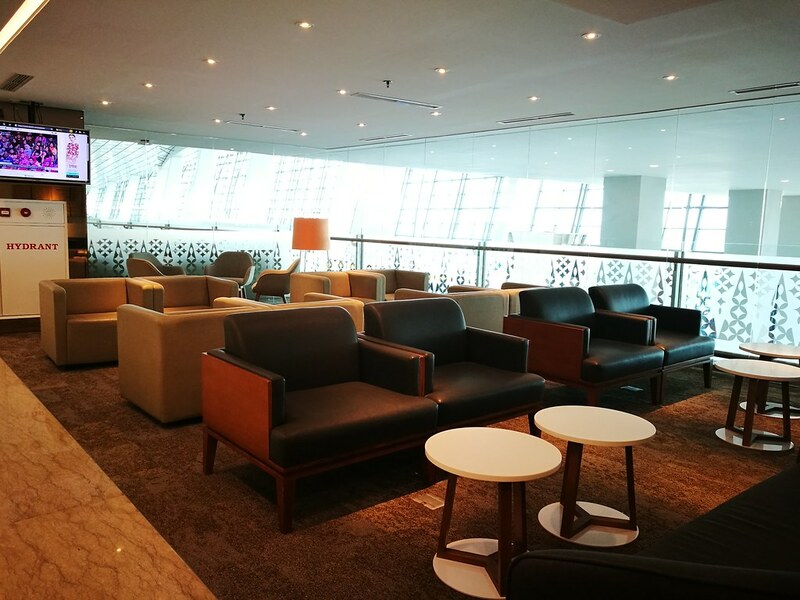 What it lacks compared to the Domestic lounge was the movie theatre which I enjoyed when I have a longer layover. 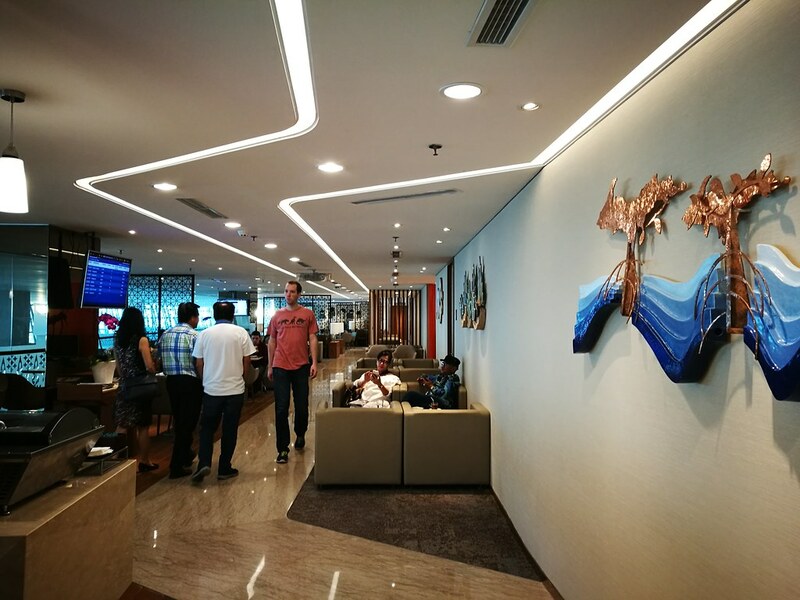 With the new lounge open over on the International side, Garuda Indonesia have completely moved all its operations out of Terminal 3. As far as I know, other Sky Team airlines like Saudia, China Airlines and Korean Air now departs and arrives into Terminal 3 as well. 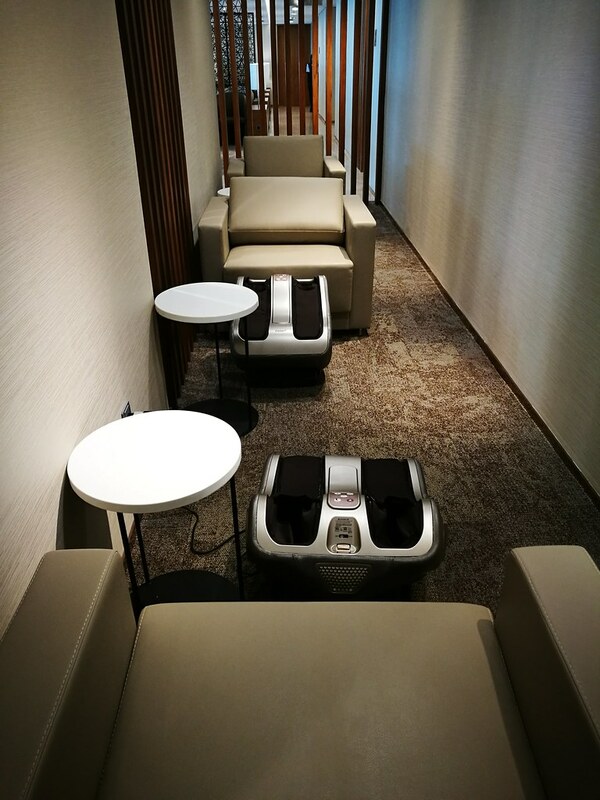 Thus Sky Team Elite Plus members have access to this much more spacious lounge now and this investment in lounges should be beneficial for travellers flying with Garuda Indonesia out of the country too.